Sometimes however, we’ll have a scene that requires more than one color scheme to be made. 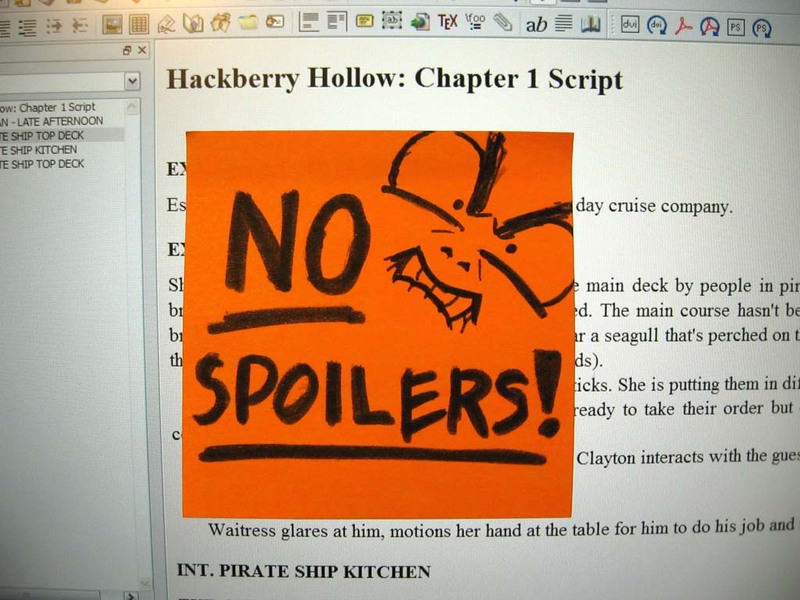 In Chapter 9 of Hackberry Hollow two characters are talking as the sun sets [text obscured so it can not be read in accordance with our No Spoiler Policy] and some stuff happens. They stay at the same spot as the sun sets and we transition from one color scheme to another. So I had to draw the same painting twice to figure out the different color schemes. I did the night time shot first, and then painted over it for the sunset shot which was more complex. The lighting was lighter and fuller so I had to paint in more detail. When stuff happens, does chaos ensue?